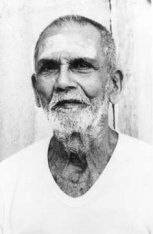 ‘Ramana Puranam’ is a long poem that was jointly composed by Ramana Maharshi and Muruganar in the 1930s. Muruganar wrote the first two hundred lines (approximately) and Sri Ramana later completed it by adding over three hundred more. It was eventually published in Tamil as the first poem in Sri Ramana Sannidhi Murai, a work by Muruganar that was modelled on Manikkavachagar’s Tiruvachakam. The work has been translated and annotated by T. V. Venkatasubramanian, Robert Butler and myself. I hope that it will be published in book form later this year.